Dutch startup Oaky sells upselling software to hotel operators for an average €1.50 per room per month. 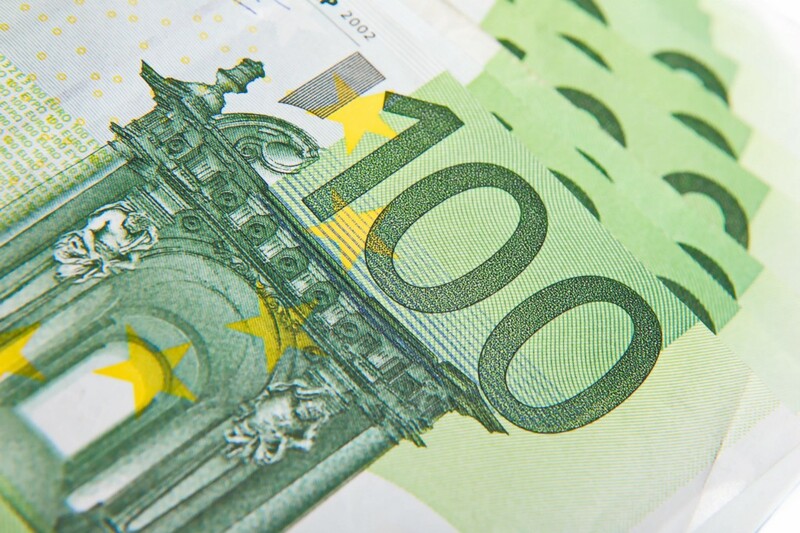 Oaky just raised €2 million from angel investors. Assume, based on comparable deals, that Oaky sold a 20% equity stake in their company to the angel investors. Price startup = price deal / equity stake sold. 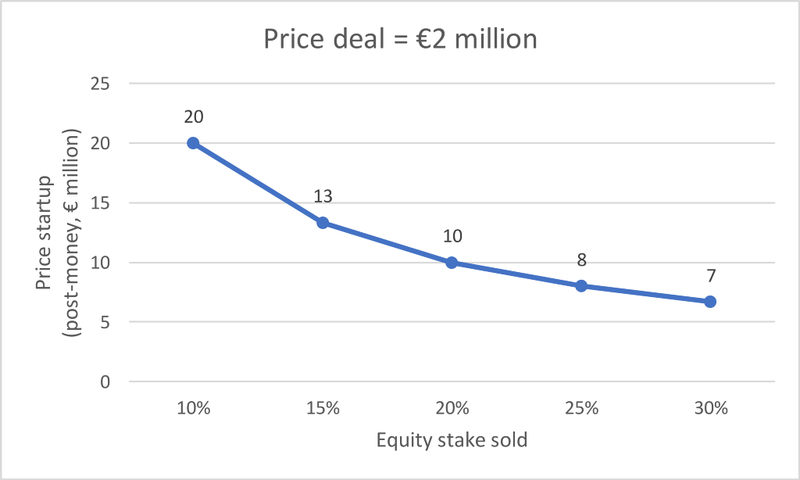 Then Oaky is priced at €2 million / 20% = €10 million post-money. Assume, based on comparable deals, that the angel investors want to have a shot at making 15x on their investment. 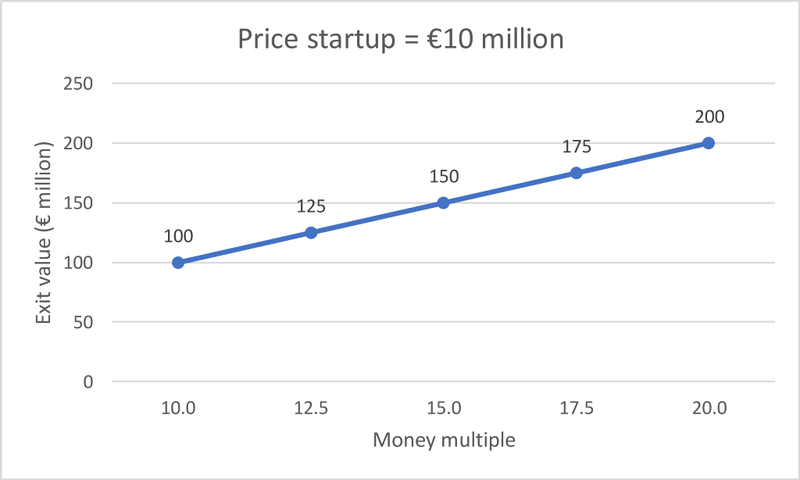 Exit value = price startup * money multiple. Then Oaky’s €10 million price requires a €10 million * 15 = €150 million exit value. Assume, based on comparable European enterprise software companies, that Oaky trades at 5x revenue at exit. Annual revenue at exit = exit value / revenue multiple at exit. 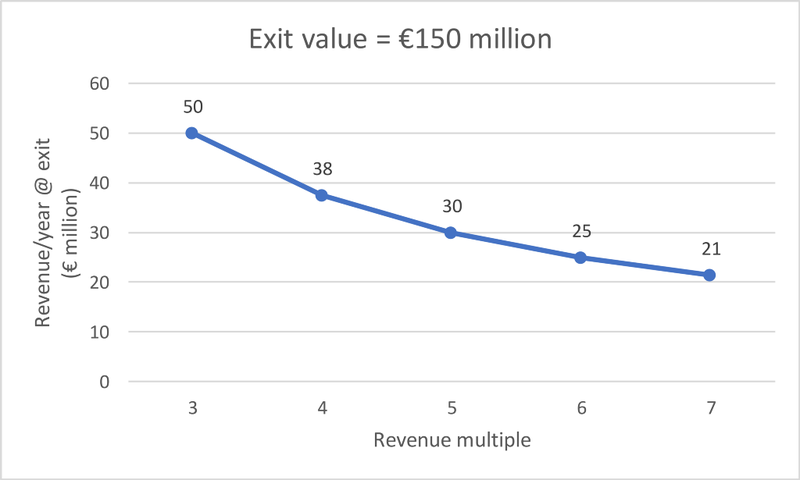 Then Oaky’s €150 million exit value requires €150 million / 5 = €30 million in annual revenue at exit. Oaky charges an average of €1.50 per room per month. 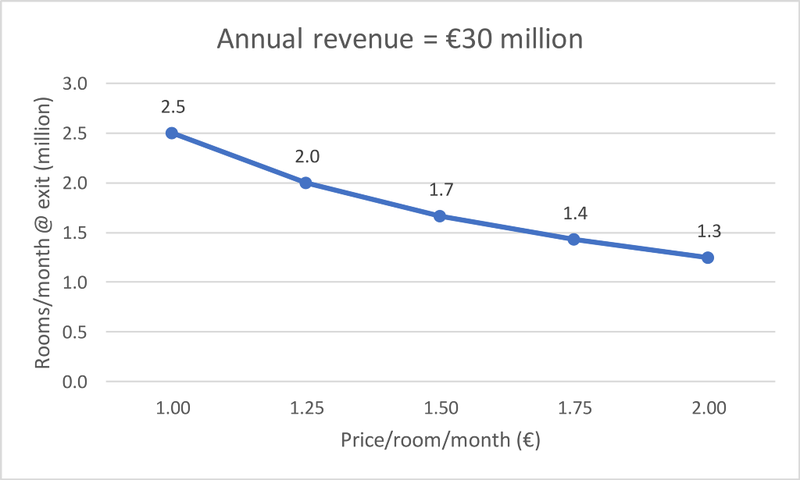 Rooms per month at exit = annual revenue at exit / 12 / price per room per month. Then Oaky’s €30 million annual revenue at exit requires them to contract €30 million / 12 / 1.50 = 1.7 million rooms per month at exit. For context: Amsterdam currently has 35.000 hotel rooms. Originally published at venturevalue.com on February 6, 2019. Oaky’s €10M Valuation Requires Them to Contract 1.7M Hotel Rooms was originally published in Hacker Noon on Medium, where people are continuing the conversation by highlighting and responding to this story.